Oh, WEE. 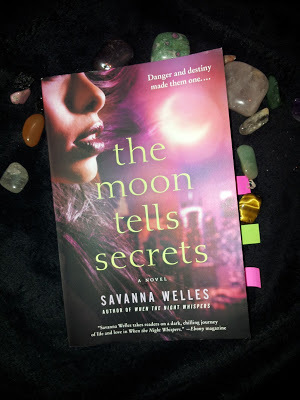 Let’s talk about Savanna Welles’s (aka Valerie Wilson Wesley) latest paranormal romance not-so thriller, The Moon Tells Secrets. The premise is extra simple–though suggests something yards more exhilarating than the actual events. A woman named Raine has been on the run with her eleven-year-old half African- half Native-American son, Davey. The two are fleeing Davey’s marred legacy, one that not even Davey’s Navajo grandmother could protect them from with her traditions and wisdom. However, before death takes her, she leaves the two plenty to run with. And run they do, because the thing that murdered Davey’s father remains relentless in its pursuit for Davey's blood. But why you may wonder? Well, Davey acquired his father’s gift, which is the ability to shift into any animal or person. According to Native American legend, these individuals are known as skinwalkers. And the creature that hunts him is one as well. To preserve itself, it must kill Davey. Now considering his age, this, essentially, nullifies Davey’s potential to kill it in the future. Seeing that her son is vulnerable to this creature, it's up to Raine to protect him until she can find a solution. Thus, Raine provides us with the first-person narrative of her struggle to do so. Nevertheless, there is a deuteragonist present by the name of Cade. Cade’s third-person narrative interchanges with Raine’s first-person (odd but not something I found disruptive to the overall narrative). Cade is a man struggling with the loss of his wife, a year after she was found murdered in her home office. According to the cops, her murder was, theoretically, done with an animal-like ferocity. Nursing the bottle since, Cade slowly finds comfort in the company of Raine and Davey instead. A relationship begins to bloom, despite much of Raine's secretive and closed off behavior. But as the details of Cade's wife’s death come to light, Raine suddenly begins to pull away from him. Cade can only wonder if Raine’s sudden apprehension is connected to the mystery of his wife’s murder. Determined to hold on to Raine and Davey, he begins his search to find out. And there, ladies and gentlemen, is where the paranormal romance steps in and out goes any sporting thrills. Which, at the end of it all, I found beautifully satisfying anyway. But let's still talk about the book. Let’s get to the first thing I appreciated about this particular Welles book. I thought The Moon Tells Secrets was better than Welles’ last Gothic romance thriller, When the Night Whispers; let’s just put that out there. Part of my pleasure with Moon arrives from how Welles–to me–did a better job showing instead of telling. Very little of the storytelling and character fleshing was glossed over with narrative cramped with off-stage scene recaps and exposition. 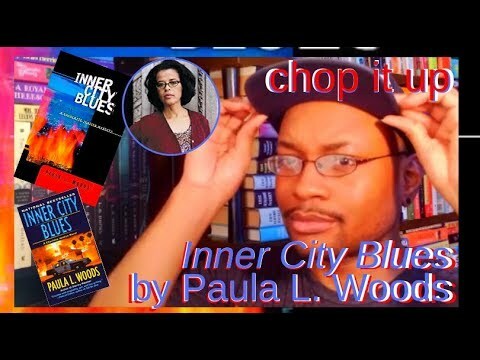 Not allowing the reader to live the events with the characters breeds disconnect. So Moon had its moments, but it wasn't as "outsider looking in" as Whispers. This made it superior to Whispers, because it allowed the romance between Raine and Cade to unfold before your eyes. Their first “date” was on paper. Their trips to Starbucks (apparently they had waitresses there) was on paper. Going to the fair as a doubting couple? Well, that was on paper as well. Chilling at the house with popcorn and a movie? On paper as well. You get where I’m going? To be clear, this may be a testament to The Moon Tells Secrets being a paranormal romance, whereas When the Night Whispers was about the deconstruction of a woman because of a toxic romance. So some developments may have been required. Regardless, the difference between the two was too notable. Additionally, this budding romance also filled the pace of the book. It wasn’t until partway through when I realized I had to take the book as a romance and not a paranormal thriller. Once that became clear, I let the romantic incense burn. Though still a little disappointed in the lack of fast-paced chills I came to anticipate. This, in turn, points me toward another little letdown I had with The Moon Tells Secrets. Outside of the touches of paranormal, there’s also a mystery. Raine, Cade, and Davey have to find out exactly who is the skinwalker plotting against them. The dribble towards this revelation was mostly weak. They spent more time thinking and feeling and allowing odd moments for the skinwalker to approach them. And its approach seemed mostly ineffectual because–if it was so dangerous and awful–why did Raine and Davey still linger in its radar? Raine encountered the skinwalker a number of times, and yet she'll leave Davey in their new home while she company Cade. Which is odd, now that her cover is blown. The trio even went to a carnival and allowed Davey to prance off on his own–after Raine encountered the skinwalker once more. So the stakes just didn’t seem to apply. There were talks about the skinwalker waiting until the moon was full, but why show its cards beforehand after it has chased its meal across America? Why ruin the element of surprise? So no. There was little deducing and reasoning Raine and Cade’s way toward who the skinwalker was. They mostly just… well… fell into it all. I think this is what killed the use of the skinwalker villain. I’m almost tempted to say I wished it got in on the story as the tritagonist of sorts. We hear Raine’s side. We see Cade’s side. What about the quiet, ineffective and less than ruthlessly brutal, skinwalker villain? Who, by the way, turns out to be someone closer to Raine and Davey than they think? And is acknowledged with little emotion–which I found increases how the mystery aspect didn't exactly add up. 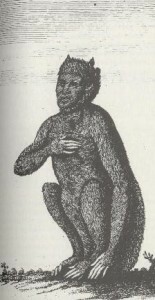 If you want to know more about the Native American legend of the skinwalker, click HERE. However, I reiterate: Paranormal Romance. If you read The Moon Tells Secrets expecting anything else, remind yourself of what it really is. 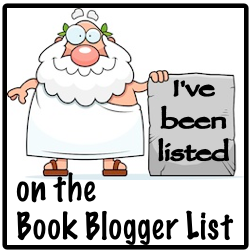 Good paranormal romance? I’d say yes. Though it felt dull and unexciting in the beginning, it became a smooth read when I settled with its romance. Now what I won't be able to get into is the book's allegory of a mother's love and protection. That'll be up to you to interpret.